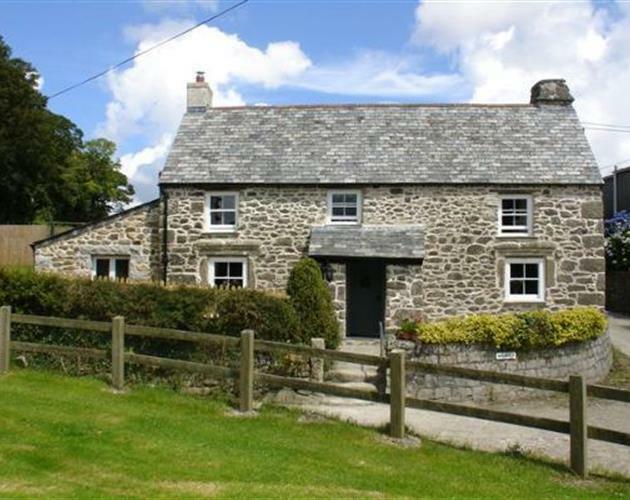 A luxury two bedroomed Grade II listed 16th Century cottage. • Peaceful setting with a private garden, patio and BBQ. • High quality furnishings & appliances. • Oil fired central heating throughout. • Sumptuous bed linen and towels. • Plenty of parking space. • Open all year round including Christmas and New Year. • Complementary breakfast hamper / cream tea, fresh flowers and toiletries. 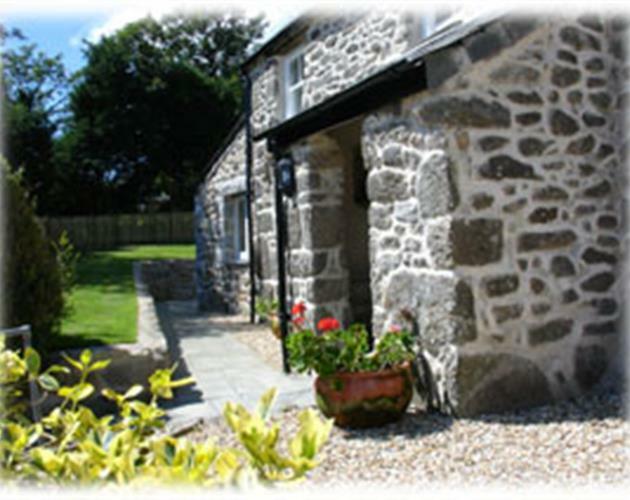 The Cottage is full of charm and character with granite, slate and oak used extensively throughout. It enjoys a wonderful rural setting, with magnificent views - a haven of peace and tranquillity; Combined with it’s central location it’s the perfect place to explore everything that Cornwall has to offer. The Cottage aims to feature everything you need for a fabulous holiday. It has been restored using high standards of craftsmanship whilst retaining many of its original period features such as its impressive granite archway, magnificent granite fireplaces and oak beams. Granite steps lead you into the Kitchen. Step through the door and discover country living at it’s best. The kitchen has solid oak units with granite worktops and a slate floor and is fully equipped with top quality modern appliances including a microwave, dishwasher, fridge, freezer, washing machine, tumble drier and ironing facilities. The impressive granite archway invites you into the dining room with its solid oak farmhouse table and chairs, Rangemaster cooker with hob, griddle and hot plate in the original granite fireplace. Let your inner chef loose! Unwind and relax in the cosy sitting room with a glass of wine on romantic winter evenings in front of the glowing wood burner, which nestles in the original granite fireplace. This room is tastefully furnished with a large, comfy sofa and armchairs, a 32” LCD TV with Freeview, DVD player and stereo / CD player. Relax on the sun filled patio throughout glorious summer days. After a delicious BBQ step through the French doors to the light and airy sunroom, snuggle into the cane suite and plan the next day’s adventures. The stairway leads up to a spacious master bedroom boasting a luxurious 6ft super-king bed (which can easily convert into two singles) The second bedroom boasts an equally superb 5ft King size bed. 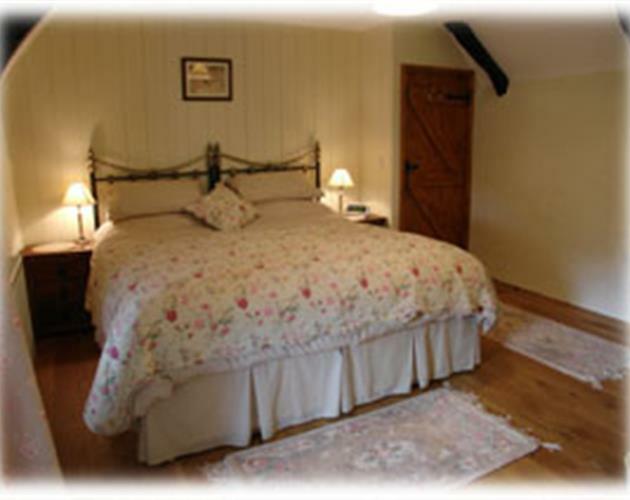 The bedrooms are full of character with their original oak beams, solid oak furniture and tastefully coordinated soft furnishings. Plus there’s no shortage of creature comforts including LCD TVs, and hairdryers etc. Should other family and friends wish to stay, extra accommodation can be provided in the farmhouse which is about 50 yards from the Cottage.